I en tid då tyckande ofta bortser från fakta kan man bara älska en kunskapshyllande, supersmart film om en dyrbar företeelse som vi slarvigt tar för given. För att rädda den hotade demokratin behöver vi först veta vad den innebär. Denna intelligenta essädokumentär tar oss från demokratins vagga i Aten via kapitalismens första stapplande steg i medeltidens Italien till civil rights-rörelsen på 1960-talet, fram till Trump och rykten om valfusk i dagens USA. Astra Taylor intervjuar ledande historiker och filosofer, aktivister, fabriksarbetare, asylsökande och den förre grekiske premiärministern Papandreou – och späckar allt med citat från Platon för att försöka ringa in det magiska som är demokrati. Det är inspirerande och ibland provocerande, intellektuellt men känslomässigt, personligt och politiskt. Och konstant underhållande. 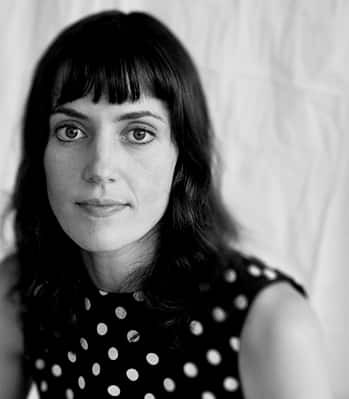 Astra Taylor is a filmmaker, writer, and political organizer. She is the director of the philosophical documentaries What Is Democracy?, Examined Life, and Zizek!. She is the author of the American Book Award winner The People’s Platform: Taking Back Power and Culture in the Digital Age and a co-founder of the Debt Collective. She has written for The New York Times, The London Review of Books, The Guardian, The Walrus, The Baffler, n+1, and many other outlets. Her new book, Democracy May Not Exist, but We’ll Miss It When It’s Gone, will be out from Metropolitan Books in early 2019. What Is Democracy? has a question for a title because I undertook it in the spirit of genuine inquiry. A word we say and hear all the time but rarely reflect on, democracy is both an ideal and a reality, a rousing aspiration and a devastating disappointment. Broken down to its ancient Greek origins, democracy means the people (demos) have power (cratia). But who are the people, especially in this moment of increasing hostility and division? And what about the fact that, as wealth and influence concentrate, the people are not very powerful at all? 2008 Examined Life, Doc; 2005 Zizek!, Doc.